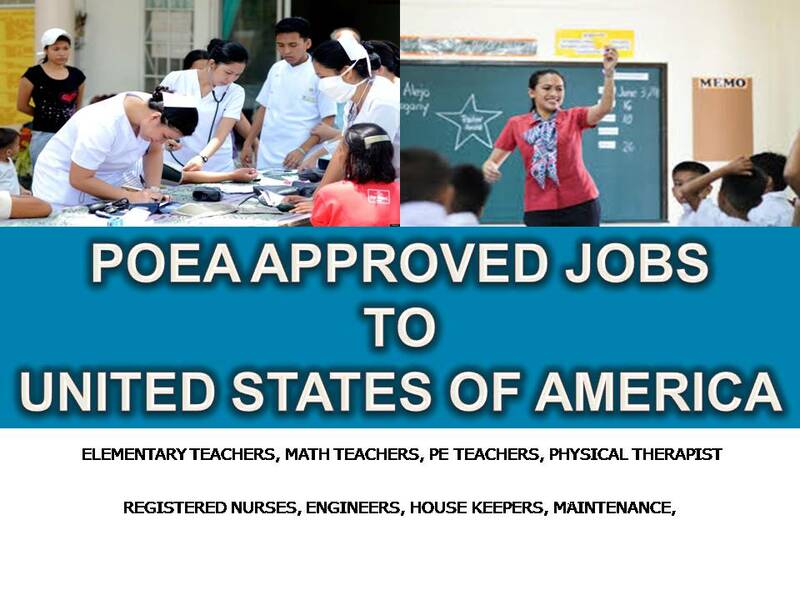 Hundreds of jobs are now open for Pinoy who wants to work in United States of America, Canada, and US Territories. 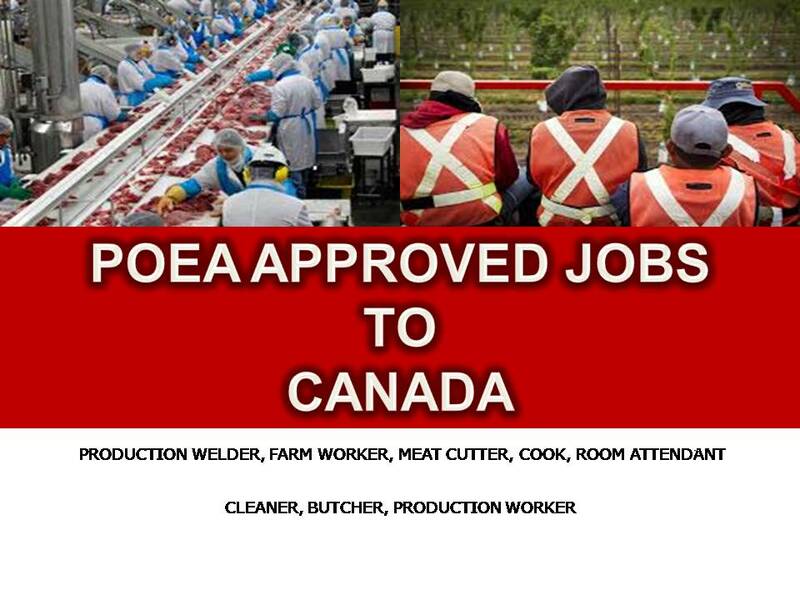 They are hiring for teachers, engineer, nurse, welders, cutter meat, programmer, therapist and other jobs for skilled and unskilled workers. 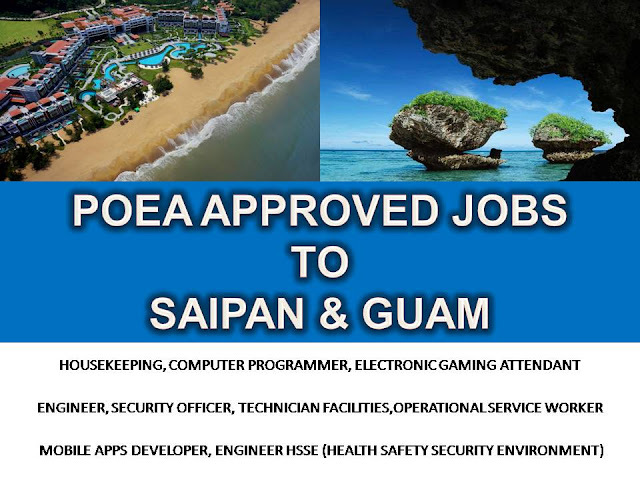 The following jobs are approved by POEA. Please be reminded that we are not a recruitment industry or we don't have any relation to the agencies mentioned here below. All the job orders was taken from the POEA jobs order website and was only linked to agency details for easier navigation for the visitors.